Moving is always tiring and unsettling, but if you prepare well enough, you can minimize the stress. 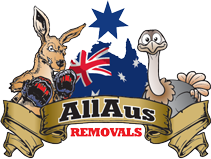 Removalists companies go a long way in helping to reduce the stress and burden that comes with packing and moving homes. They are indeed saviors during the grind and fuss of home relocation. Nonetheless, this does not mean you have to sit back, fold your hands, relax and do nothing. Removalists can’t do the job alone. They require you to make certain preparations before they arrive at your home to move your items. Making adequate preparations before any removalists arrive will not only make their task easier but will also save you loads of cash. To start off, make sure you check the facilities and accessories of the removalists. What kind of tools are they using? Are they using moving gears or ordinary trolleys? Once all these are ascertained, you can start planning your own part. Packing and moving home is tedious in itself. Having children running about, and trying to prevent them from getting hurt can make the entire process frustrating. It is therefore advisable to arrange a babysitter ahead of moving day. Prepare to dismantle all your big or heavy items. Removalists charge per hour. You will have yourself to blame as well as lose some money when your removalist has spent half the time struggling to dismantle your furniture for example. Before the removalists appear, try to dismember your dining tables, bed frames and other large items. At least three hours before the removalist arrives at your home, put out your freezer, refrigerator, and unpack all the contents therein. If you are concerned about the long drive ahead, consider investing in a refrigerated car cooler. By plugging this gadget into your car, it works just like a fridge to keep your food and drinks fresh. Tape all drawers, fridge, freezer and all furniture doors. This can be done by making use of an electric or masking tape. All these are required to prevent potential moving disasters resulting from swinging furniture doors. It is wise to start packing at least a week ahead, and have the right size boxes, markers, newspapers, bubble wrap and tape to complete the job faster. Ensure you also mark all your boxes by both item and room. All these and many more will make it easier for the removalist to take them straight to the right place or room in your new home and save you the stress of carting them around after the removalists has left.